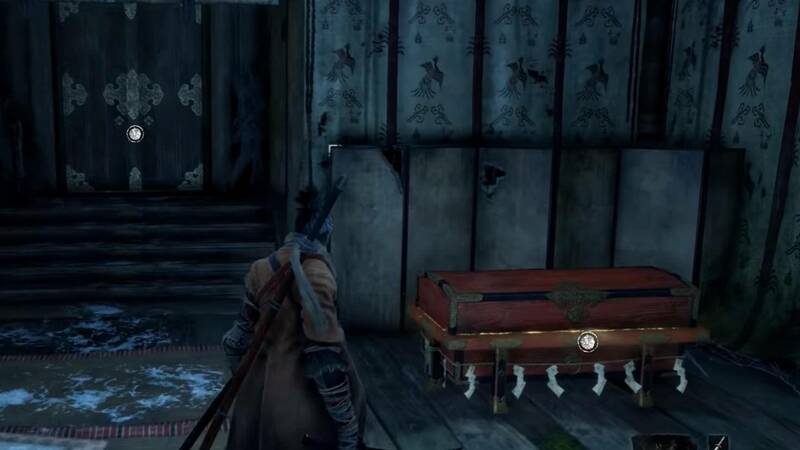 In "Sekiro: Shadows The Twice" you have the pumpkin bottle as a healing item. A sip of it, and your Shinobi is already doing better. So that the bottle is not empty so quickly, you can enlarge it – by collecting pumpkin seeds! Here you read, where you get it. At the beginning of "Sekiro" you can take only one healing sip from the pumpkin bottle – not much for such a demanding game. If you collect the nine pumpkin seeds in total, you will get one sip each, so you can heal yourself a total of ten times. Useful: Each time you rattle on a figure of the sculptor, your pumpkin bottle is refilled. After you woke up at the beginning with the sculptor, talk to the doctor Emma. She offers to reinforce your pumpkin bottle if you bring her pumpkin seeds for it. Each time you find a seed, you should visit it as soon as possible. Emma improves your pumpkin bottle. Sometimes you get the pumpkin seeds after boss fights, some you find in certain places in the game world, sometimes you can also buy them from retailers. The first seed you get after the fight against General Naomori Karawada in the Ashina area as a drop. You will find the mini boss just behind the second figure of the sculptor. Closest figure of the sculptor: "Surroundings Wall – Path to the Gate"
When you defeat the Chained Ogre – another miniboss in the Ashina area – swing up the ruined wall where the fiend was chained. Walk left through the corridor and you will find the next pumpkin seed. Closest figure of the sculptor: "Surroundings Wall – Stairs"
Run after the fight against the boss Gyoubu Oniwa over the battlefield and up the stairs. Go around the building on the left and up another staircase. At the dealer who pitched his tent there, you can buy the third pumpkin seed for 1000 Sen. Closest figure of the sculptor: "Ashina Castle – Entrance"
In the attic of the Ashina Castle you unlock the figure of the sculptor "Upper Tower – Anteroom". In the same room you will also find the next pumpkin seed in a chest. So look around carefully. Closest figure of the sculptor: "Upper Tower – Anteroom"
Fujioka the Information Trader sells you the fifth pumpkin seed for 2000 Sen. But first you have to find it in the Ashina Castle: walk up the long stairs from the figure of the sculptor "Ashina Burg". Ignore the opponents at the top or fight them, then walk to the right and right again behind the rock. Now you can already see Fujioka sitting cross-legged on the floor one level below you. Talk to him and you'll get the job to defeat a few enemies for him. Then he opens his shop near the Maroden temple. 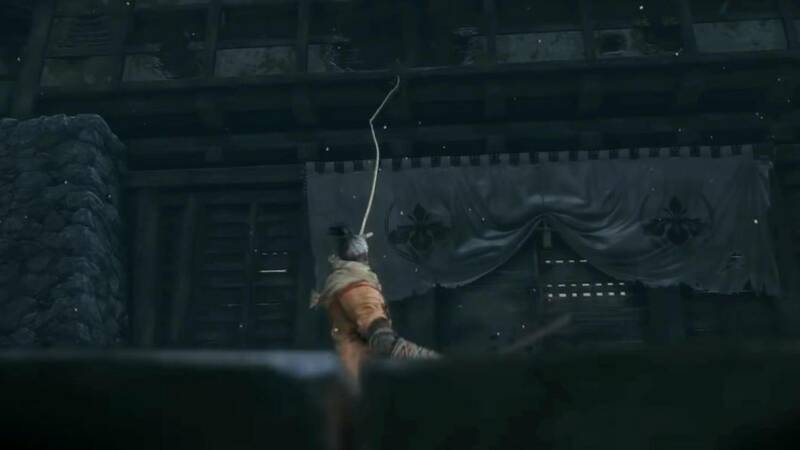 Closest figure of the sculptor: "Ashina Castle"
Follow the path to the Senpo Temple and pull up in front of the entrance on the left with the grapple hook on the beam. Walk through the building and you will automatically come to a room where three monks are praying and a fourth is meditating. And what do the men worship? Right: the sixth pumpkin seed! Closest figure of the sculptor: "Senpo Temple, Congo"
Climb from the figure of the sculptor "Valley under the shrine" through the Sunken Valley. You meet several guards who stand on rocky outcrops. After defeating the fourth guard, climb the wall to the left. You see a small hut and in it the seventh pumpkin seed. Closest figure of the sculptor: "Valley under the shrine"
You reach the village of Mibu from the depths of Ashina. In the middle of the place stands a big tree around which many opponents have flocked. Bad luck for them – you have to go to the tree to collect the eighth pumpkin seed underneath. Closest figure of the sculptor: "Village Mibu"
In this box the last pumpkin seed is waiting. Walk through the palace of the Urquelle. In the last room, near the figure of the sculptor, you will find a box and in it the last pumpkin seed. If you have sided with Father Owl, you can not take that seed with you! 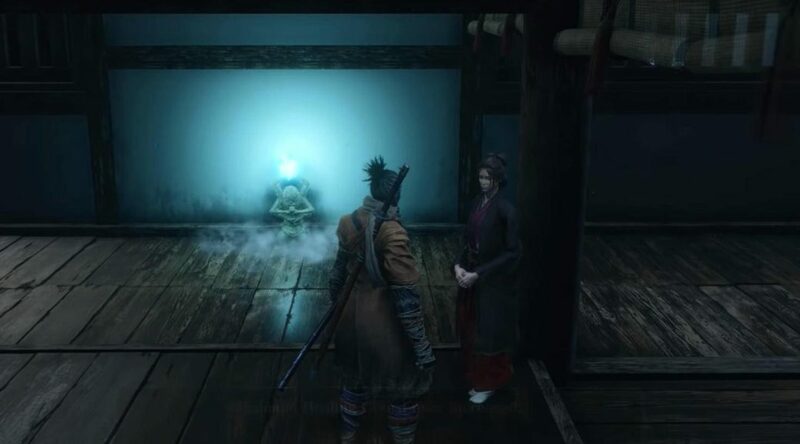 Attention: For the last pumpkin seed there is a restriction, for which we have to tell you something about the story of "Sekiro". 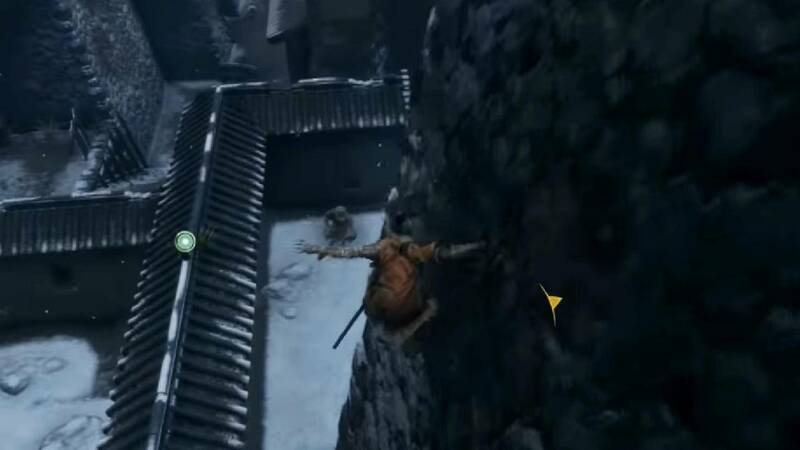 Closest figure of the sculptor: "Palastgelände"
In "Sekiro: Shadows The Twice" you can heal yourself with the pumpkin bottle. It works similar to the Estus flacons from "Dark Souls. Initially, the bottle has only one charge, but you can expand it to up to ten charges. Collect nine pumpkin seeds and bring them to the doctor, Emma, who reinforces your bottle. The pumpkin seeds you get as a drop of bosses, also you can find them in the game world, in boxes and at dealers.